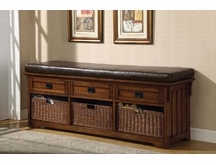 uBuyFurniture offers a diverse selection of quality, affordable accent furniture for your home. 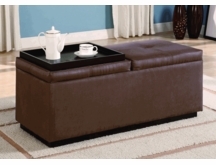 Browse our accent seating section of upholstered chairs, leather chairs, arm chairs, rockers and chairs with ottoman. We also offer specialty items like youth chairs, youth stools, and video rockers, as well as traditional accents such as wood benches, storage benches, upholstered benches, ottomans and storage ottomans. In addition, our catalog includes assorted cedar chests, coat racks, jewelry armoires, and vanities and to ensure you find everything you need. Choose from contemporary, casual or traditional styles in a range of wood, metal or painted finishes for the perfect accent to your living room, bedroom, office or youth room décor All Accent Furniture ships FREE to the continental U.S., Ususally in 2-3 business days!